SDM were recently asked to step in as 'The good guys' and put right the mistakes of a cowboy builder on the BBC programme, Cowboy Trap. 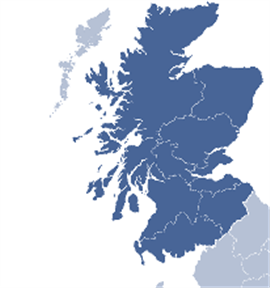 SDM repairs and restores homes and business premises all over Scotland, the Isles and the north of England to their pre loss condition whether it is fire, flood or storm. SDM is able to provide concealed, nondisruptive, reliable solutions for all forms of structural faults with minimum disturbance to the building’s occupants. SDM undertake reinstatement of industrial and commercial buildings and structures, following fire and flood damage. At SDM, we strive to exceed the expectations of our clients, ensuring both targets and deadlines are meet. Be it city landmarks, shops, hotels, pubs, or offices, here at SDM, we have the expertise and experience to help you with your project. Our expert surveyors and technicians work together using the latest equipment to restore properties expertly, quickly and professionally, regardless of the damage done. SDM supplies mobile access towers to customers across Glasgow, Edinburgh and the central Scotland at highly competitive rates. SDM is a Glasgow- and Edinburgh-based building contractor with over 20 years’ experience in building repair and reinstatement, building maintenance, structural repair and building preservation. At SDM, we work with insurance companies, property managers, loss adjusters, insurance brokers and both business and home owners. We provide a comprehensive, integrated building and property service. As a contractor with all main trades employed directly by SDM, we seldom sub-contract any works. Our operatives have a wide range of expertise in construction, repairs and reinstatement within the domestic and commercial sectors. Thanks to our unique appreciation of our customers and their requirements, SDM’s knowledgeable and friendly office team provides total support for all aspects of your project. This means that we’re best-placed to ensure works are completed promptly. When you partner with SDM you can expect first-class customer service, complete professionalism and a high-quality result. For full details on the services SDM has to offer, please visit our services pages. We provide property repair and maintenance services across Glasgow, Edinburgh and central Scotland and structural repair services across the whole of Scotland and the north of England.